What is Finite Element Analysis? Finite Element Analysis (FEA), also known as Finite Element Method, is used in various industries such as aeronautical, automotive, biomedical, civil and structural. Although, finding stresses and displacements in geometries are the most popular applications, modern FEA software packages are routinely used for solving a variety of linear and nonlinear engineering analysis problems including fluid flow, vibrations, heat conduction, and electrostatics. FEA simplifies a complex problem by dividing the given physical or mathematical problem into finite number of small elements. The smaller elements are individually analysed; results to which are assembled to provide solution to the main problem as a whole. This numerical solution technique has become widely popular with the rise of affordable and powerful computers. The availability of powerful software codes, with simple user-interface has made this tool indispensable for design and engineering analysis. FEA typically follows a three step procedure – pre-processing, analysis, and post-processing. Preprocessing involves input of information – geometry, mesh element type, material properties, boundary conditions and applied loading. Stand-alone FEA software, or those bundled with CAD (computer aided design) software packages import 3D solid CAD model for pre-processing and analysis. The analysis stage creates matrix equations that describes behaviour of each finite element, assembles the element equations to describe the entire structure, following which, it solves the equations. The final stage of post-processing presents the solution, along with graphical interpretation of the variable on the CAD model in modern FEA software packages. Finite Element Analysis in medicine could be applied, amongst many scenarios, to understand the stresses that bone may be subjected to after a total joint arthroplasty, for design verification of a TKR (Total Knee Replacement) implant to analyse the effect of static and fatigue (cyclic) loading, heat transfer and temperature patterns during heating and cooling of different cells and tissues, or to study blood flow through biological tissue. The versatility of FEA with regards to geometry, boundary conditions, applied loading, or the material behaviour of the object under study, encourages its use in different bio-engineering models and studies. Finite Element Analysis allows designers and engineers to perfect a design, prior to expensive prototyping or manufacture. It is an ideal tool, when bundled with a CAD software package, in terms of cost and time, for a quick redesign to avoid a potential disaster of the medical device. 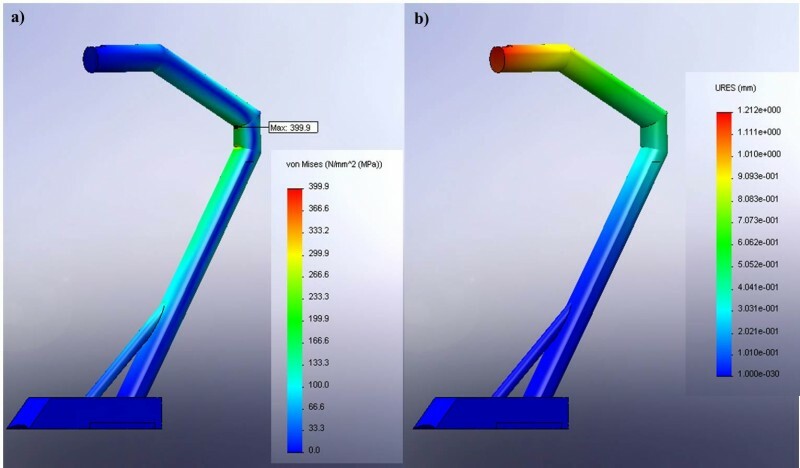 With the advances in computer hardware and software packages, FEA could be considered as a basic tool geared for risk management of medical device design processes. Its use has substantially accelerated time required for a concept to reach the manufacturing stage of a new medical device, as improved initial prototypes decrease time and number of cycles required for testing and development. It provides a detailed insight of various design parameters, and allows for combinations and permutations of features, materials and shapes, which may have either proved impossible, expensive, or time-consuming with the earlier design process of simply prototyping and testing. However, the biggest restriction of FEA is the fact that it is an approximation tool. Although the accuracy of results do improve with refinement of mesh size (convergence), there are limitations imposed on reducing the mesh size due to computing power, time and cost of conducting a more thorough analysis. Other variables brought in by manufacturing processes and tolerances, material properties, and geometrical features of the product may produce errors of differing magnitudes in the computer-based numerical analysis. The accuracy of the analysis results are directly proportional to the precision of input data; the lack of which may produce very inaccurate results, with the probability of error being overlooked. Regulators are skeptical, but definitely are noticing the importance of Finite Element Analysis in medical device design. According to FDA guidance documents, FEA would not be considered to demonstrate the physical performance of final devices. However, it is encouraged to be used as a “development and design optimization tool”. In another instance, ASTM utilises Finite Element Analysis as a tool for selection of worst-case size for the mechanical testing of of artificial intervertebral discs (ASTM F2346-05) – “If this worst-case size cannot be determined using theoretical or experimental methods such as simple stress calculations or ﬁnite element analysis, then all available sizes are to be tested and the complete range of results are to be reported.” It could be considered that FEA is recognised to increase efficiency of the medical device design process. FEA may not be final, but definitely a noteworthy intermediate step in demonstrating the physical performance of final devices. The rapid pace of progress in faster computer hardware, and flexible, powerful software with simplified UI (user interface), enables FEA to be a mainstay in most of the improved medical device design processes. With the introduction of, and advances in 3D printing, FEA is set to become more relevant. There are obvious limitations to the method, but with counter-measures and follow-up verification, the tool is effective in reducing lead time for concept to reach production line, while substantially cutting down on costs. In a field like medicine, where it would be difficult to conduct controlled experiments of physiological conditions, Finite Element Analysis is an ideal tool to gain deeper understanding of product requirements, thus allowing design and development of better medical devices.